(FCRT) has been formed to protect the freshwater fish of Caithness and eastern Sutherland and bring its sport blinking into the sunlight. To raise the profile of this gloriously remote area it is running a unique raffle. Fishing on some of the best beats in Scotland, many of which have never been open to the public before, is to be won. A day on the Naver Private Water, a day on the Private Beat on the Thurso (the favourite beat of the late Queen Mother) and a week for three rods on the Halladale in April are among the 25 prizes. 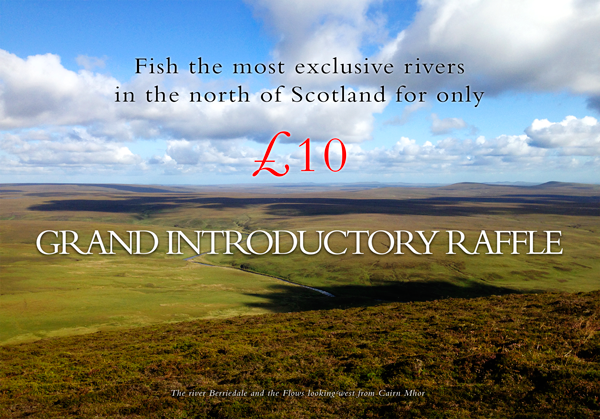 Also on offer: a day on one of the wild spate rivers – the Forss, Strathy, Borgie, Dunbeath, to name but a few – a day at the Armadale netting station, ten days on the top brownie lochs and the fabulous gift of three days for three rods on a prime beat of the Dee. Entry to the raffle costs £10, which includes a year’s membership of the FCRT.